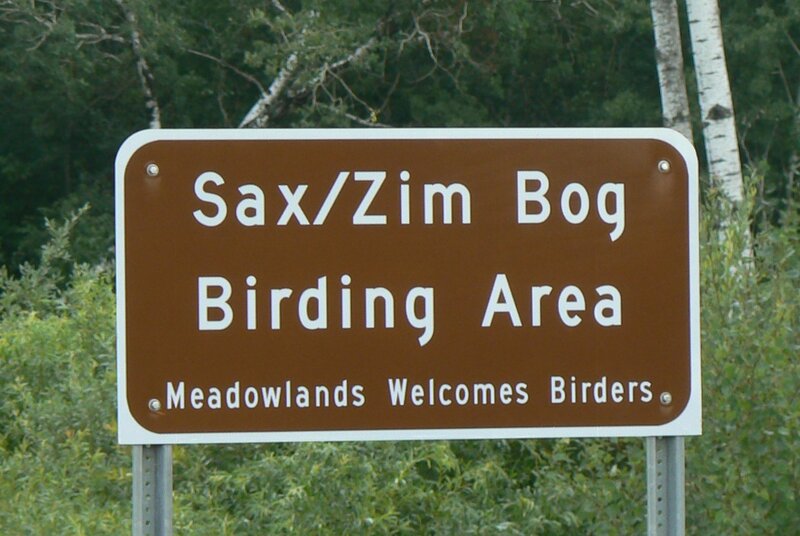 Yesterday Kassie and I made it to Sax Zim Bog (http://www.dnr.state.mn.us/sax_zim_bog_iba.html) to go look for some of the boreal bird species that move in for the winter. 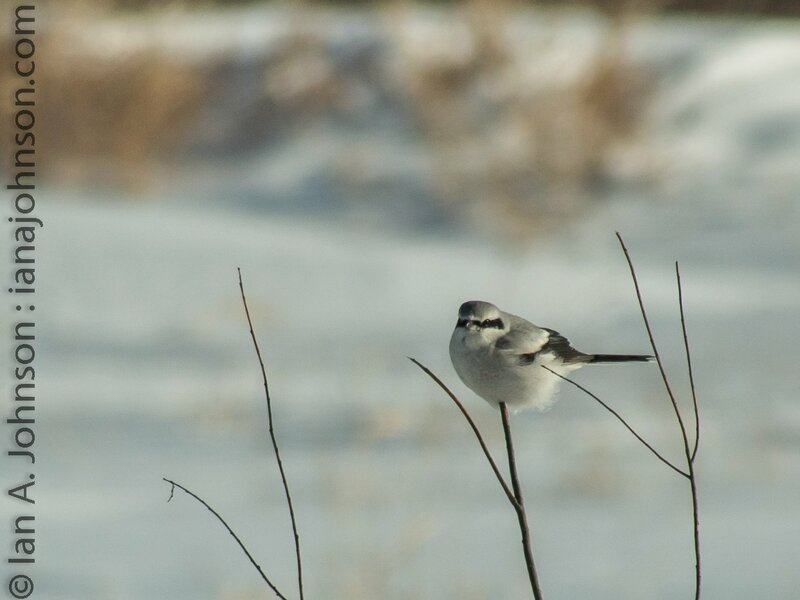 In the region there are northern hawk owls, great grey owls, boreal chicadees and black-backed woodpeckers – of course there are many, many more!. Our goal was to beat the cold snap we are having in Minnesota right now – in fact due to the cold Governor Dayton called off school for Monday on Friday! That hasn’t been done since 1997. Although with windchill values exceeding 60 below for Sunday and Monday night I think it’s warranted. Amazing that I can experience the same intense cold in Alaska and Minnesota. 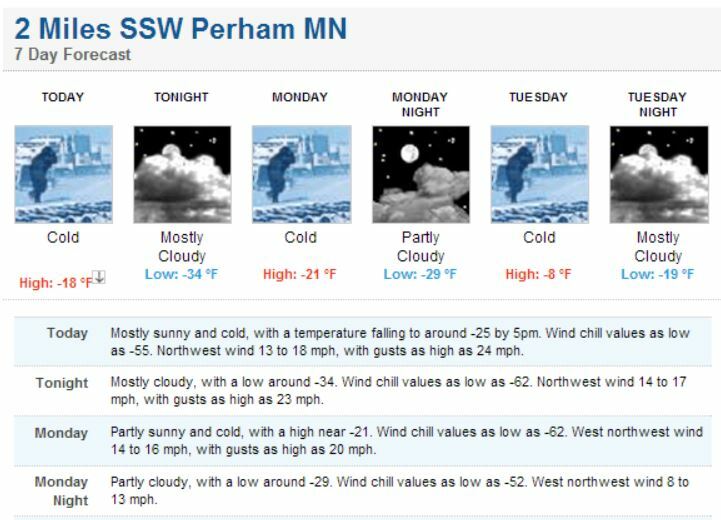 Cold temps in Perham this week!! One of the northern migrants in Sax Zim are the northern shrikes. These birds are classified as song birds, but are carnivores. The eat insects and small rodents. They are known as ‘butcher birds’ because to cache food they impale their prey on sticks, thorns, or even barbed wire! 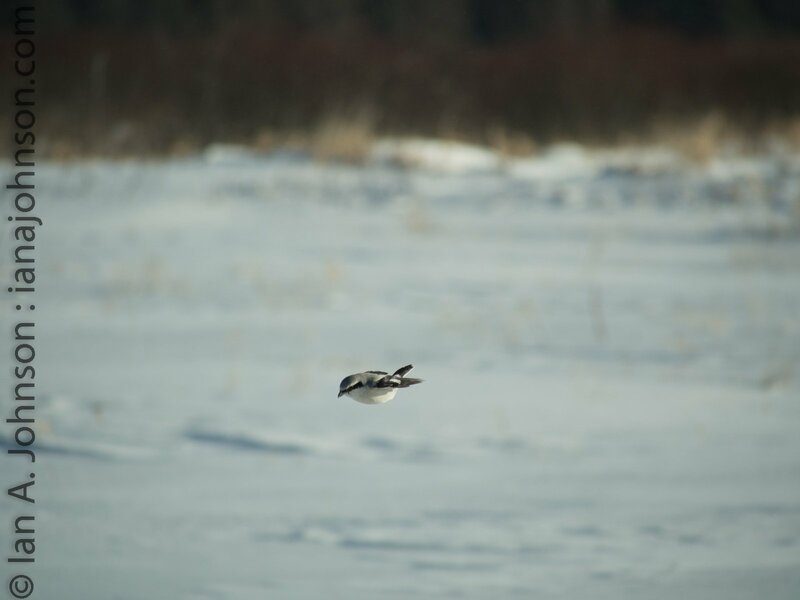 The northern shrike below was stooping over the field hunting an unknown prey. I was able to capture the bird as he stooped into the blustery winds as and perching on a nearby branch. Even with the condition of blustery wind we had some great opportunities to see some cool birds. 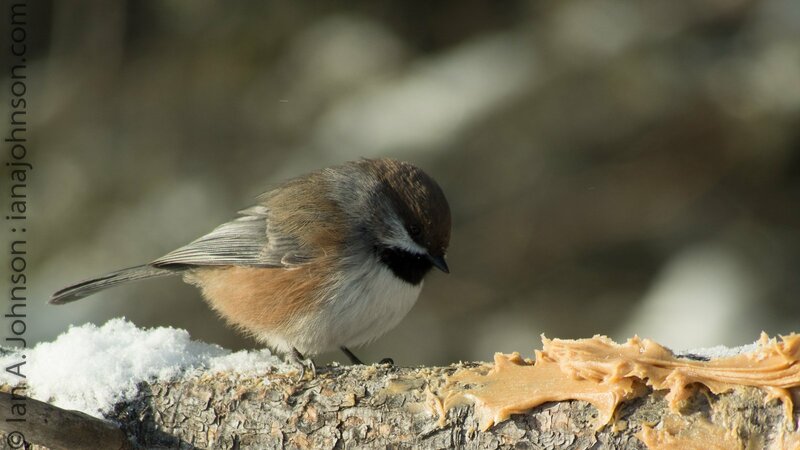 Boreal chickadess are a migrant here we found a couple at the feeders there. 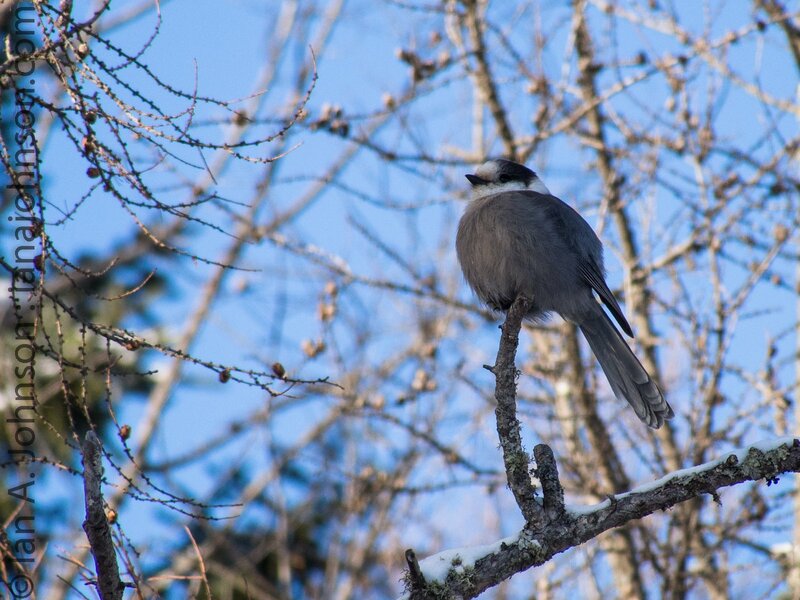 Gray jays and a red-breasted nuthatch were also found at the feeders. 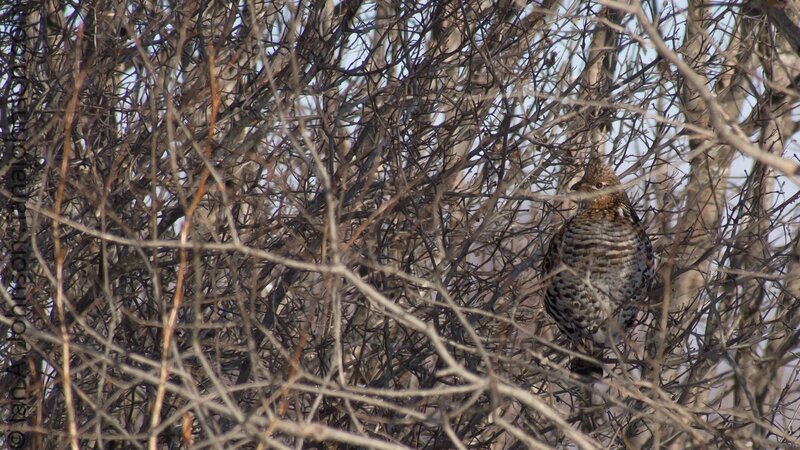 As we were driving along the roads looking for owls Kass spotted a ruffed grouse sitting in the trees. She thought it was an owl right away, and so did I!! At the end of the day we never did see any owls. The windy and cold conditions kept the owls hunkered down. However, I didn’t want to leave you without some pictures of them! Part of the reason we went up there was Erik Bruhnke, who runs Naturally Avian. Naturally Avian is his bird tour, education, and photography business and I absolutely encourage you to check out his Facebook page (https://www.facebook.com/NaturallyAvian). If you enjoy birds and just feeling happy subscribe to his page, his posts and photography are both incredible. By visiting the page you’ll be able to see a lot of the birds that we ‘dipped’ (did not see) on. His pictures of boreal, great grey, and northern hawk owls are honestly second to none and are award winning. 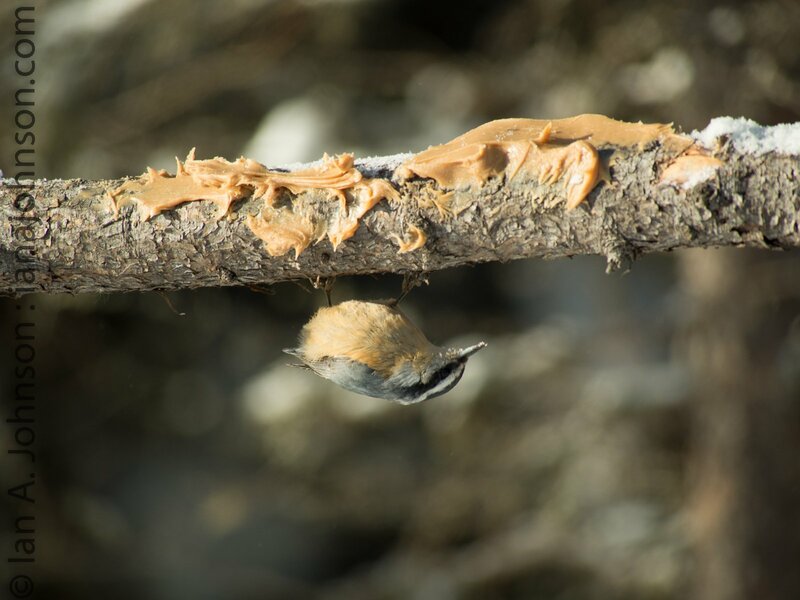 By visiting the Sax Zim bog website you can see great photography of the owl species and the boreal migrants.